Maruti Baleno is one of the best selling car in India. this car has a brilliant performance coupled with impressive fuel efficiency. Maruti has always focused on performance and fuel economy rather than looks but this time they maintained both looks and performance. If you own a Maruti Baleno then you are already very lucky person. 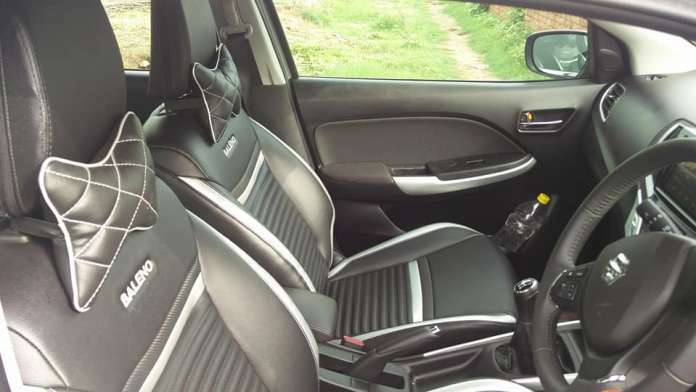 You can actually modify or increase its feature by using following car accessories so here we are sharing the best car accessories for Maruti Baleno. Car floor mats are the mats that are designed specifically for protecting the car surface from dust, dirt, salt corrosion and any sort of damage. Car mats provide comfort to your feet also eliminates tension and saves you from the uneasiness caused from heat while on a drive. These mats are made specifically as per your car. These mats are made of PU Leather and will last for years. PU Leather mats along with PU leather Seat cover will give your car a new and sporty look. 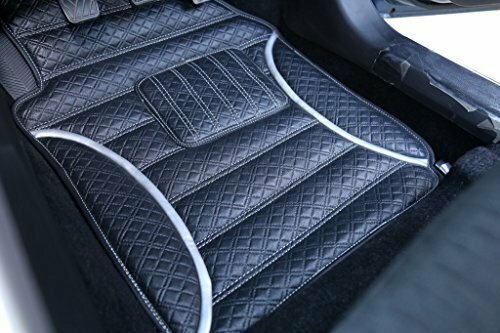 FRONTLINE 3D Car Foot Mats protect the floor of your car and can ensure that it looks great for many years to come.FRONTLINE Car Foot Mats are made to last like no other car mats.Rich Leather Finish which gives plush look to the car. They are well known for their superb performance and durability. They last for years and the value that you will experience with these mats is unrivalled by others.These mats are fully washable and very easy to clean.The mats are anti skid and also provide a cushion feeling to our feet while sitting in the car.Snug fit of the mats in the footwell area means they will not slip and slide too much with foot pressure. Car seat covers not only enhance car interior but also protect the seat from the sun, cold temperatures, and any time of damage. You can choose baleno leather seat covers for more comfort ride. Automotive Grade PU Leatherite. Complete Set (Front Seats + Back Seats). Permanent dry Feel. No Chemical Odour. 3D Car Seat Covers.Car Seat Covers made to custom fit for specified Car Model Only. These seat covers are made on imported machines for perfect fitting. Material of seat cover is a PU Leather. It is easy to dry clean and vaccum clean. These seat covers are complete set for your car Front seats & Rear seats and Armrest. It would be made specifically as per seats of your car for perfect fitting. To protect your vehicle’s exterior from harsh outdoor weather, direct sun rays and bird droppings, you must get car body cover especially designed for Maruti Baleno. 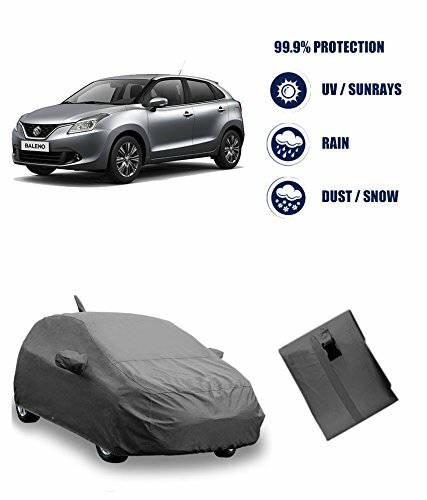 Investing few hundreds on car cover to protect your expensive car is really smart idea! Protection against snow, dirt, dust, bird drops and heat/cold. The highest temperature be bear +90? Made breathable to allow trapped heat and moisture to escape from beneath the car cover. UV resistant fabric protects your vehicle paint from damaging UV rays & pollutants. Car Body Cover made by High Quality imported Fabric Strong, effective and all weather car covers for your vehicle Very Light Weighted Custom-fit car cover Very tough and long lasting. Designed to protect your vehicle against harsh outdoor conditions Preserves vehicle’s paint by ensuring safety from dents and dust Fit your vehicle with style and precision Machine washable Foldable. Nowadays safety is more important factor in car that’s why many cars are now comes with inbuit airbags and rear camera, but for lower ends models we have to manually fit the accessories so camera is one of the important factor for safety. 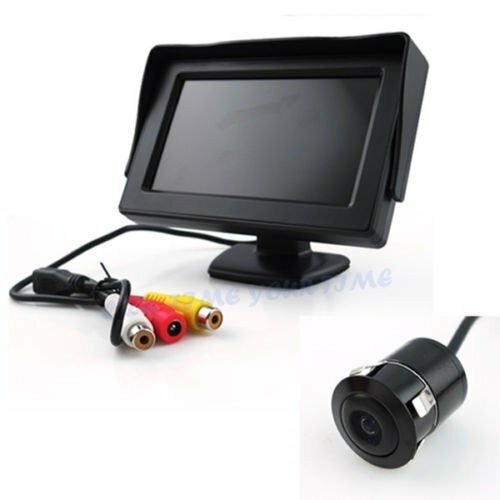 4.3″ security color TFT-LCD Monitor. 2-channel video input:V1/V2 (Auto switching). With menu buttons, you can adjust brightness, saturation, contrast, hue, etc. SOFTSPUN MICROFIBER TOWELS Very Soft – Excellent Absorption – Quick Dry – No Odor – Bacteria Free – Wrinkle Free – Easy To Wash – No Chemicals Required – No Bleach – Light Weight – Lasts Hundreds Of Washes – Economical SOFTSPUN Microfiber is a combination of 80% Polyester & 20% Polyamide, with fibers approx 1/100 of a human hair. Thus creating a fabric with amazing ability to pick up and trap dirt coupled with superior absorbency and scrubbing power. Why Choose SOFTSPUN Microfiber over Cotton Towels/Cleaning Cloth? Cotton is like a fishing net with large holes. If you scoop sand, dust or microscopic germs they escape through the large holes or just get pushed around. 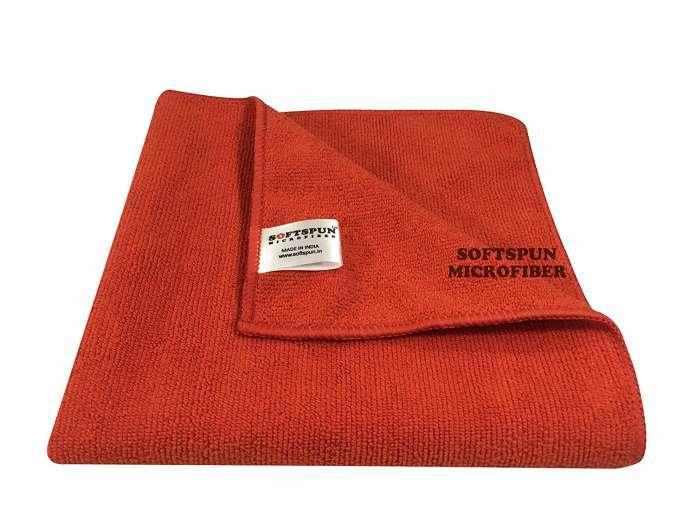 But, SOFTSPUN Microfiber Towel catches the dirt & dust. SOFTSPUN Microfiber unlike Cotton Cloths a) Has Affinity To Oil That Allows Oil To Cling Directly To The Fibers b) Absorbs 3-4 Times Its Weight Of Water, Being Hydrophilic c) Uses Only Water To Clean, Needs No Cleaning Agents d) Lasts As Much As 500 Washes Much More Than Cotton e) Requires Less Water Than Cotton To Wash f) Dries 3x Faster Than Cotton APPLICATIONS: Where to Use SOFTSPUN Microfiber Cloths: Car Cleaning: Watch your Car Shine – The paint – Glass – Chrome – See it Shine – no lint or streaks. SOFTSPUN Microfiber products are absolutely essential to high quality detailing/cleaning and polishing for both the interior and exterior of any vehicle. SOFTSPUN Microfiber towels and cloths are used in virtually every area of detailing/cleaning and polishing. You may use SOFTSPUN microfiber products to clean the paint, leather, wheels, glass, interior and so much more. The uses are literally endless so you can never have enough top quality SOFTSPUN Microfiber products. People often will splurge on their wax but spend far less on microfiber products when they are truly the backbone of a good detail. Investing in quality SOFTSPUN Microfiber towels and caring for them will save you time and money in the long run. These are the Best Car Accessories for Maruti Baleno, If you have any queries regarding this post, Let me know in the comment section below.